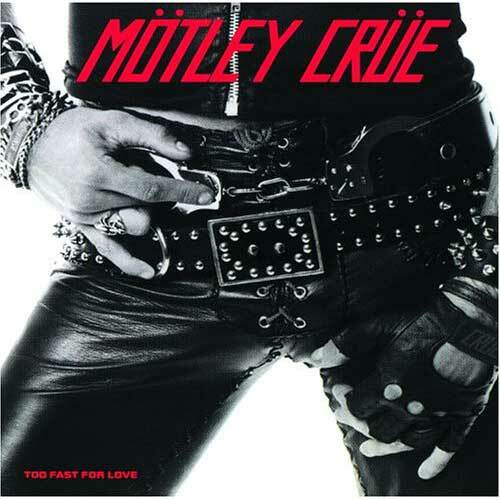 Mötley Crüe: 30 Years Since the Release of "Too Fast For Love"
"Too Fast For Love" is the debut record of Mötley Crüe; 900 copies were released in November 1981 on the band's Leathür Records label. Elektra Records signed the band the following year, at which point the album was remixed and partially re-recorded. This re-release, with a different track listing and slightly different artwork (e.g., red lettering on the cover and a different interior photgraph of the band), has become the standard version from which all later reissues derive. The original mix of the album remained unreleased on CD until 2003, when they were included in the "Music to Crash Your Car to: Vol. 1" compilation. The cover is of course a parody on the "Sticky Fingers" album by Rolling Stones. Mötley Crüe was formed on January 17, 1981 when Nikki Sixx left the band London and began rehearsing with drummer Tommy Lee and vocalist/guitarist Greg Leon. Lee had worked previously with Leon in a band called Suite 19 and the trio practiced together for some time with Leon eventually deciding not to continue. Nikki and Tommy then began a search for new members. Sixx and Lee soon met guitarist Bob "Mick Mars" Deal. 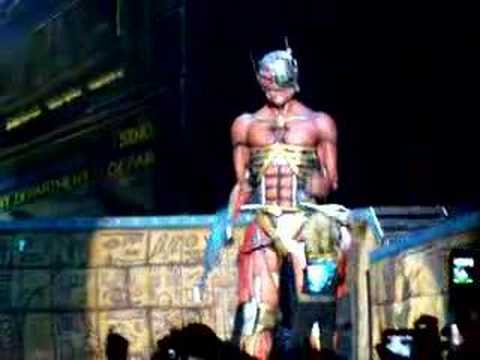 Mars was quickly auditioned and subsequently hired by Sixx and Lee. Although a lead vocalist named O'Dean was auditioned, Lee had known Vince Neil from their High School days. On seeing him perform with the band Rock Candy at the Starwood in Hollywood, California, Mars suggested they have Neil join the band. At first Neil refused the offer, but as the other members of Rock Candy became involved in outside projects, Neil grew anxious to try something else. When Lee made one final appeal to audition, Neil accepted and was hired April 1,1981. The newly formed band did not yet have a name. While trying to find a suitable name, Mars remembered an incident which occurred when he was playing with a band called White Horse, when one of the other band members called the group "a motley looking crew." He had remembered the phrase and later copied it down as Mottley Cru-. After modifying the spelling slightly, "Mötley Crüe" was eventually selected as the band's name, with the stylistic decision suggested by Neil to add the two sets of metal umlauts supposedly inspired by the German beer Löwenbräu, which the members were drinking at the time. German metal queen Doro´s complete 45 minute set from Hellfest 2011, which took place in Clisson, France on June 19th, is now streaming in its entirety on YouTube. Check it out below. "I was always such a big fan, like so many other people, just adored him and loved him. But there’s one song, we will be working on that and I think it will be wonderful. But I first want to show it to Wendy Dio and let her listen to it, so that’s one thing. I kind of want to make many versions of that song, I think it’s beautiful and I like it a lot. And we have some other songs but I don’t know which ones will make the record. Definitely the one for Ronnie; but everything else, we usually write as much as we can and pick and choose the nicest ones." "It’s called ‘Hero’ and it has a beautiful melody and I would like to make many versions of it, like an acoustic version and a full-blown band version and maybe an orchestral version , and we are just working on it. I definitely want to take care of that one – that song’s nice. But first I want to let Wendy listen to it. I’m really hoping, but I’m sure she will like it a lot, ja. Every time everybody is listening to it in the studio everybody is crying and so – wow – so touching." Go to this location for the in-depth interview with Doro Pesch. 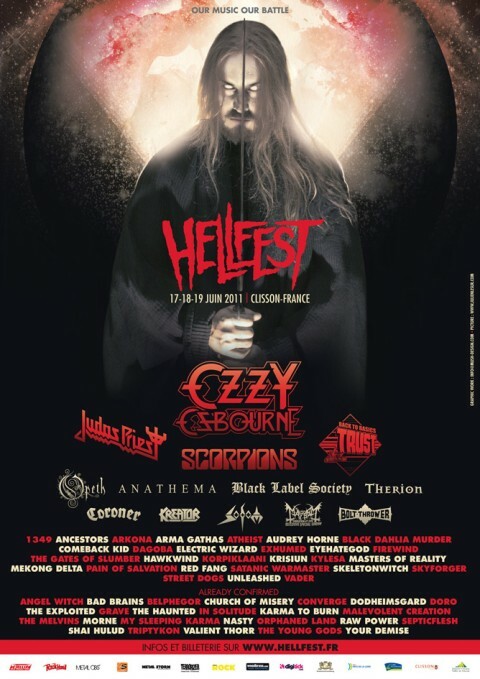 The latest OzTV webisode featuring behind-the-scenes footage from Ozzy Osbourne's June 19th, 2011 concert at Hellfest in Clisson, France can be viewed below. Great fan-filmed video footage is also available below. "Shockwaves Skull Sessions" podcast episode #49 is the second of a "riveting" three-episode "Big Four" special, featuring returning guest and esteemed U.K. metal author Joel McIver, Craig Locicero from San Francisco Bay Area thrash titans Forbidden and metal veteran Michael Huntsman as they join host Bob Nalbandian on yet another heated discussion thrashing out a discography deliberation on the first few albums of Metallica, Slayer, Megadeth and Anthrax. This episode hones in on the early days of thrash metal. Cinderella’s only UK date for their 25th Anniversary tour was always going to be a cause for excitement! Cinderella took to the stage with a massive cheer but with an odd choice to open their set – "Once Upon A Time". However, when they launched into "Shake Me" the venue erupted as Tom Keifer, Eric Brittingham, Fred Coury and Jeff Lebar – the classic Cinderella line up – took the crowd back in time 20 years. The quartet went from strength to strength as the evening went on, pleasing the crowd by playing their back catalogue of hits including "Heartbreak Station", "Gypsy Road", "Save Me" and "Long Cold Winter". Worries about Tom Keifer’s voice were quickly set aside as his trademark gravelly tone filled the venue and never deteriorated for the duration of a short yet sweet 85-minute set. 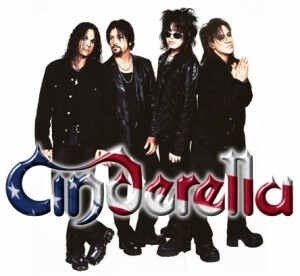 Cinderella were a band that came out of the 80s hair metal scene with their musical integrity intact – pigeonholed at the time into the Sunset Strip glam rock movement. But they always boasted the talent to stand out as a more bluesy alternative to their sleazier counterparts. And in 2011 Cinderella continue to display this love of the blues and this set featured live slide guitar for "The More Things Change" and piano for one of the highlights of the evening "Don’t Know What You Got (Til It’s Gone)". They rounded off their night with an encore of "Nobody’s Fool" and left the crowd hoping that this is a new era for Cinderella – free from health issues and with the hope of new material and a full UK tour to come. Nazareth: "The Record Companies Kept Telling Us That We Were Too Old To Make A Record; We Decided That Was Not The Case"
Jeb: Congratulations on "Big Dogz". This is a real Nazareth album with no filler. The last album, "The Newz" was the same. You are on a roll. Dan: "We are really happy with it. The band is going great. Jimmy (Murrison) has been with us seventeen years. Lee (Agnew) joined after Darrel (Sweet) died. We kept writing songs before The Newz but we never really recorded them. The record companies kept telling us that we were too old to make a record. It was all very negative. We decided that was not the case, so we went in and did The Newz, which really, really pleased us. We really liked that album because we don’t like to do albums where the songs are all the same. Jimmy was really coming in as his own as a writer. These guys were really writing great songs. Pete (Agnew) and I were not really that involved in the writing of that album. The songs were very Nazareth. They were scarily Nazareth." Jeb: You have an extremely unique vocal style. Your voice is just as ferocious now as it was thirty-five years ago. Is it something you work on? Dan: "I think it is mostly just pure dumb luck. The thing is that I don’t worry about it. I smoked for years; I don’t anymore though. I still have a few drinks with dinner. I think too many singers are too paranoid about their voice. They think it is too smoky or that it is not smoky enough. They are frightened that they are going to lose it and they drive themselves insane. Generally speaking, I have been pretty lucky. Years ago, I had something wrong with my vocal chords and I had to have something done to them but that was it." 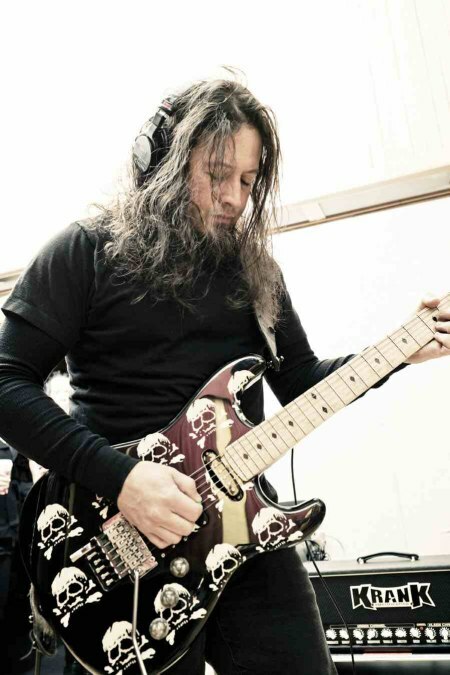 Guitarist Michael Wilton of Seattle progressive rockers Queensrÿche was the featured guest on this past Saturday's (June 25th) edition of the"Turn It Up" radio show on WSCA 106.1 FM in Portsmouth, New Hampshire. You can now listen to the chat using the player below. "Turn It Up" is a two-hour radio show that focuses on new and classic hard rock and heavy metal. "In reading the responses to my recent interviews, I feel I would like to clear up what I believe to be a misunderstanding of a few statements I have made. "Queensrÿche has been a band for 30 years and we all have a great working relationship. I wouldn’t have it any other way. If I have my way, we will be making records and touring for years to come. "'Dedicated To Chaos' is the next chapter in the Queensrÿche world and I stand behind our effort 100%. There were no other songs that were scrapped or other directions turned down. We all got together and made music and 'Dedicated To Chaos' was the result. It’s a hard rock collection that I believe really shows the band's diversity while still sticking to our rock roots. "Thanks for all your support over the years for Queensrÿche and I hope to see everyone out on the road this summer." On a very special episode of the "Glory Is Noise" online radio show, host Joel Gausten welcomes legendary Black Sabbath drummer Bill Ward for a discussion on the upcoming 40th anniversary of Sabbath's "Master Of Reality" record, the recent deluxe re-release of the band's 1983 album "Born Again" and Bill's ongoing work with charities. The 62-minute episode can be heard on this location. A founding member of Black Sabbath, Bill Ward played drums on the band's first nine albums before departing in 1980 to begin an ultimately-successful battle against addiction. After briefly returning to Black Sabbath in 1983 for the "Born Again" sessions, he left the band again to pursue a solo project that has so far produced two albums (1990's "Ward One: Along The Way" and 1997's "When The Bough Breaks"). 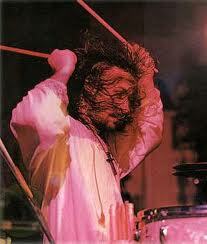 He rejoined Black Sabbath for a reunion of the original lineup in 1997 and has remained with the band ever since. In 2002, he released "Straws", a special CD single sold to raise funds for the Vietnam Veterans Memorial Fund, the Alice Faith Mittelman Foundation, the Children Affected by AIDS Foundation and the National Veterans Foundation. In addition, Ward has appeared in several music-related books, including Joel Gausten's 2010 release, "From Satan to Sabbath: The Metal Interviews 2000-2009", available at this location. What´s next for Yes? Yes member Chris Squire and Geoff Downes discuss the concept of the new album "Fly From Here" on Fox News. 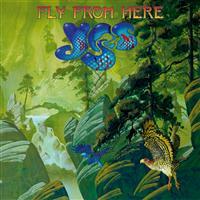 "Fly from Here" is the band's first studio album since the release of "Magnification (2001), the longest gap to date between two Yes studio albums. 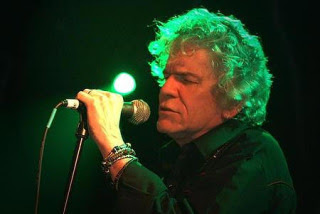 It will also be their first with Canadian singer Benoit David on vocals, who replaced long-time member Jon Anderson. Prior to joining Yes in 2008, David performed as the lead vocalist in Close to the Edge, a Canadian Yes tribute band, for over ten years. He remains the lead singer of the Canadian band Mystery, which he joined in 1999. Iron Maiden's official channel IMTV followed the band as they wrapped up the "round the world" leg of "The Final Frontier" world tour with shows in Puerto Rico and Florida. Check out the footage below. Iron Maiden recently landed at position No. 2 on Billboard.com "Hot Tours" rankings with more than $10.5 million in box office grosses reported from tour legs in both South America and Europe. The band played two concerts in Brazil (April 3 in Recife and April 5 in Curitiba) and a stadium event in Argentina on April 8 at Estadio Vélez Sársfield in Buenos Aires. The concert with the best attendance was in Chile at the 47,000-seat Estadio Nacional in Santiago, the largest stadium in the country. With 43,780 fans in attendance, the performance on April 10 grossed 1.2 billion pesos ($2.6 million US$). At a concert on June 3, Berlin's 17,000-seat arena, O2 World, the band drew a crowd of 12,817, the top attendance reported from the six German arenas on the most recent leg of the tour. As previously reported, Iron Maiden's April 8 and April 10 concerts in Buenos Aires, Argentina and Santiago, Chile, respectively, were professionally filmed and recorded for a future DVD release.